AdventHealth Shawnee Mission in Merriam. Proponents of Medicaid expansion say it would help provide medical systems with compensation for care they currently deliver as charity. Gov. 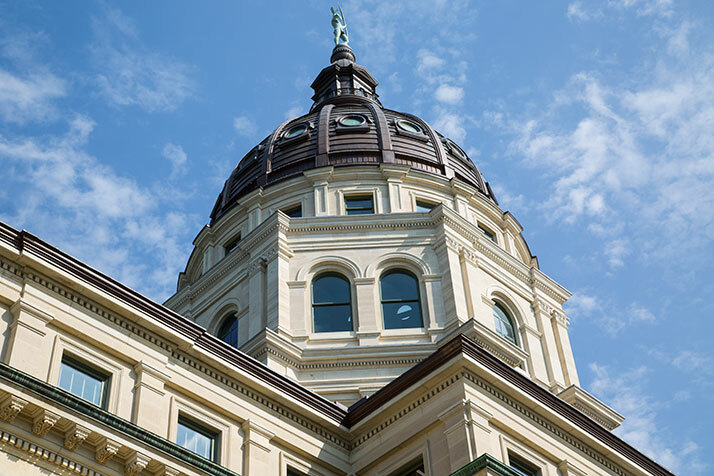 Laura Kelly on Tuesday released a bill that would expand Medicaid access in Kansas, a move her office says could provide as many as 150,000 currently uninsured Kansans with affordable healthcare coverage and shore up the finances of rural hospitals. Her bill would require an additional $14 million in the state budget and would make coverage accessible to adults under age 65 who make less than about $16,600 a year. A version of Medicaid expansion passed the House and Senate last year, but was vetoed by then-Gov. Sam Brownback. A version of Medicaid expansion passed through both chambers of the legislature last year, but was vetoed by then-Gov. Sam Brownback. However, leadership this session has voiced skepticism about expanding Medicaid, suggesting its true costs have not been fully represented by proponents. Rep. Dan Hawkins, the new House Majority leader, has been vocal in his criticism of the idea of expanding Medicaid, saying he doesn’t believe it has much support among everyday Kansans. In her announcement, though, Kelly said “Kansans overwhelmingly support Medicaid expansion,” and pointed out that Kansas is one of only 14 states that have not taken advantage of the opportunity through the Affordable Care Act. “It’s long past time to expand Medicaid so that more Kansans have access to affordable healthcare, our rural hospitals can stay open, and the tax dollars we send to Washington can come back home to Kansas to help our families,” Kelly said of the bill. Lee Norman, MD, the former chief medical officer at the University of Kansas Hospital and the acting secretary of the Kansas Department of Health and Environment, said expanding access to health insurance can help ensure patients get illnesses identified earlier. “I’ve seen first-hand how illnesses are diagnosed late, and how Kansans have been hurt financially, by not having access to healthcare,” Norman said in a statement accompanying Kelly’s announcement. I stand with the local business community in my steadfast support of Medicaid Expansion. Smart Kansans know that we need to play the long game when it comes to not only our local economy, but to the health of our workers. Expanding Medicaid is the logical choice. So far, we have sent over $3 billion dollars of OUR money to other states to fund their programs. That is money that should be kept here to help our citizens. Gov. Laura Kelly recognizes the positive impact expansion could have on both urban and rural areas. It is past time we expand Medicaid – along with the other 36 states that have already done so. Not doing so is fiscally and morally irresponsible. I have supported Medicaid expansion for the last two sessions, and I am excited to support Gov. Kelly’s proposal to bring our federal tax dollars back to Kansas and provide healthcare to Kansans. Kansas is one of only 14 states that has yet to expand Medicaid, and the federal government pays for 90 percent of the cost. It is high time Kansans have an opportunity to benefit from this program. We must act now to expand Medicaid. Expanding Medicaid eligibility in Kansas would provide healthcare to 150,000 Kansas who currently make too much money to qualify for Medicaid but too little to receive subsidies under the Affordable Care Act. Medicaid expansion was designed to meet this need and it has been adopted by 36 states and the District of Columbia. By delaying adoption, Kansas has forfeited more than $3 billion in federal funds. Expanding Medicaid is the right choice bother ethically and economically. Medicaid Expansion is a test of our democracy in Kansas. It is supported by 77 percent of Kansans, the majority of the legislature, and by Gov. Kelly. House and Senate Republican leadership see it as their duty to obstruct the will of Kansans and stop expansion. Those conservative leaders hold great power over the legislative process. To pass expansion, Democrats (all of whom support expansion) and Republicans supporters of expansion will have to be creative and brave. It is not easy for Republican representatives to go against their leaders but that is what will have to happen to pass expansion. Republicans will have to join Democrats in procedural votes or floor amendment votes to get this legislation to Gov. Kelly’s desk. Let us hope that all Representatives and Senators will put Kansas first and demonstrate the bravery our constituents deserve. There are numerous reasons why expanding Medicaid to able-bodied adults would be a fiscal and social nightmare for Kansans, not least of which would be an unreliable federal funding source that could quickly take a nosedive and bankrupt the state. While the initial matching funds from the federal government would be 90 percent, that could drop quickly to 57.1 percent, which is Kansas’ matching rate for the current Medicaid population, costing Kansans billions of dollars with people then dependent on the government health care system. Even Kansas Health Institute, funded by the left-wing Kansas Health Foundation, has reported that out of the 145,000 individuals that would be added, an estimate of 70,000 would switch to Medicaid from another form of insurance. This is what has happened in other expansion states, where residents drop their private coverage for taxpayer-funded coverage. Moving more people into a government health care system 1) increases the cost of health insurance to others (because there are fewer purchasers) and 2) increases the cost of private health care to others (because providers receive lower compensation for Medicaid patients, they must then raise their rates to private payers to make up for it). Medicaid was meant to help our most vulnerable citizens, and we still have thousands of individuals on the waiting list that expanding Medicaid will not help. Let’s not take our focus off the ones who need our help the most. Expanding KanCare is a common sense, bipartisan solution that will provide access to healthcare for more than 150,000 Kansans. Not only has it passed the House and Senate in the past, by overwhelming majorities, many legislators were elected in 2018 because of their support for expanding Medicaid. Kansans need access to healthcare now. It’s time to bring our tax dollars back to Kansas, to protect our Kansans in the coverage gap, and to solve this common sense problem this year. 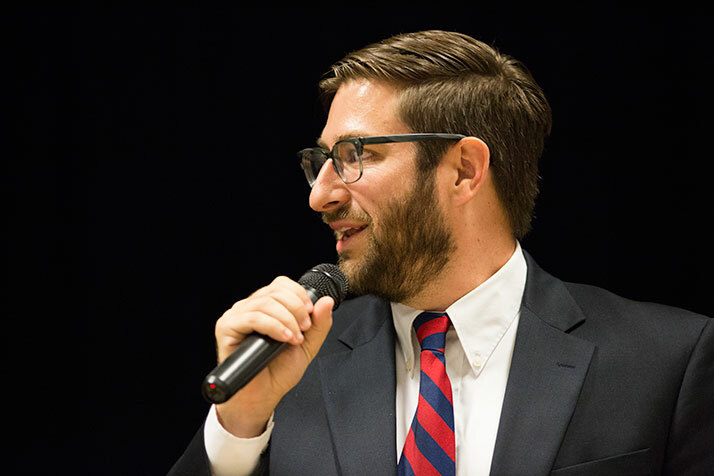 I urge everyone to reach out to their legislators, and the Speaker of the House, Ron Ryckman, to encourage him to allow this bill to be heard in committee and on the House floor. Expanding Medicaid is, both economically and morally, the right thing to do. I am thrilled that Gov. Kelly has taken leadership on this issue. Economically, there are numerous arguments. You could make the macro argument that Kansans have forfeited $3 billion in federal tax money that has gone to other states. You could make the micro argument that health care costs are one of the primary drivers in keeping people poor. With affordable access to health care, our citizens are better equipped to save, invest, and be productive workers. Morally, there is just one argument I want to make: We are the richest country in the world, and it is absolutely unacceptable that we allow our citizens to suffer because certain politicians refuse good options to get their constituents access to the health care that they need. For me, I have consistently supported Medicaid Expansion, and it would be an honor to help 150,000 more Kansans save their money and get healthy.